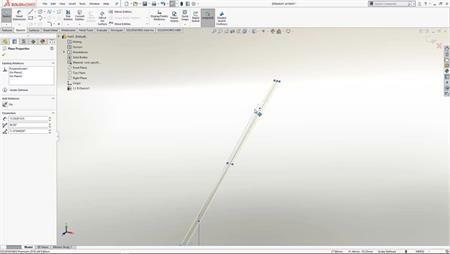 Creating complex sketch profiles is easy using SOLIDWORKS. An intuitive, powerful and feature rich tool set enables you to quickly create any kind of geometry. Add design intent and build SOLIDWORKS sketch that is robust and facilitates design change. Smart tools help you add dimensions an relations and tells you when you SOLIDWORKS sketch is over defined helping to to repair errors with ease.